E. A. Wallis translated and transcribed this work. The Book of the Dead is the name given the ancient Egyptian funeral text 'The Book of Coming '[or 'Going']' Forth By Day'. The book details the Egyptian view of the afterlife. Included are spells, hymns and instructions for the dead to pass through obstacles in the afterlife. This papyrus scroll was placed in the coffin of the deceased. 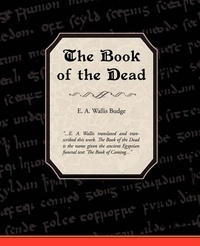 The Book of the Dead was first thought to be a Bible but is it not a religious work. It is more of an instruction manual for the recently departed.